Oxycodone addiction continues to lead the pack as it relates to admissions to addiction rehab programs. While the drug’s addictive qualities certainly lends itself to perpetuate addiction, the amount of the drug prescribed by pain clinics makes it readily available. When patientes admitted to addiction rehab programs are interviewed during their admission process, many report their primary access to the Oxycodone was pain clinics. That’s right, pain clinics in plural. 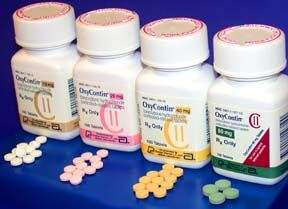 It has become common practice for those in need of “feeding” their Oxycodone addiction to frequent more than one pain clinic to obtain their Oxycodone. Another patient seeking admission to a addiction rehab program reported that it was so easy for her to obtain the Oxycodone from pain clinics that she would frequent one pain clinic for her own personal needs and another pain clinic to obatin Oxycodone to sell. The lack of monitoring these clinics receive has made it fairly simple for those with an Ocycodone addiction to have several physicians prescribing for them. If you are one of thoe people who have developed an Oxycodone addiction and want to break its cycle, it is highly reccomended you not discontinue this drug without inpatient medical supervision. Those with an Oxycodone addiction will undergo withdrawal which should be managed in a medical detox program located within a addiction rehab program. This way you can receive medical and psychological treatment for your addiction.